One of the workshop sessions I particularly enjoy teaching is a class for new supervisors/directors. Usually attendees are eager and even anxious to learn the “tips of the trade.” There are always some “veterans” attendees who are there to be reminded of why they do what they do. Then there is the occasional “wily” veteran who is really there to “catch” the presenter in a contradiction or error. Peggy and Pete are taking a break for Thanksgiving. We’ll be back with our usual (semi-)witty and sometimes provocative takes on life in mid-December. Please enjoy your time with friends and family and know that we both are thankful for your support, attention, and (in many cases) friendship. This post kicks off what we call The Guts of Leadership series. 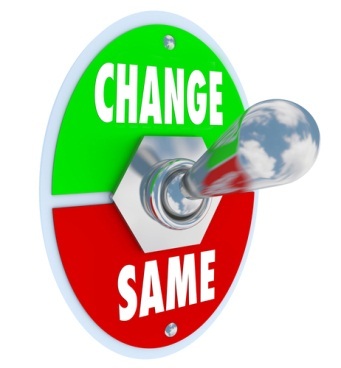 You’ve probably noticed that over the past few months we’ve expressed our frustrations with weak leadership and the failure to change when change is clearly necessary. So over the next couple of months we’ll highlight some specific practices we see in far too many operations. We hope to provoke some critically needed improvements. The summer conference and training schedules have dashed our hopes and plans of posting more frequently. We’re truly sorry. We hope to get back to the regular schedule in the fall, filled with new ideas and inspirations from our summer experiences. Peggy is also temporarily on the disabled list recovering from surgery. One of the benefits of writing this blog is that we get to share frustrations and ideas. We also get to pass on praise and complaints. In that spirit I offer the following. I have taught many workshop and conference sessions about facilitating change in organizations. In these classes we spend a great deal of time talking about why you need to be a change agent and how to go about succeeding in bringing about change. We review specific strategies for overcoming resistance to change. In fact, I was hired into my current job primarily because of my “expertise” in this particular area of management. Tags: Business, Change, School Transportation, Special Ed.